Hope you have a great weekend and stop by my blog too, if you get a chance! What you've written is perfect to describe the season. Wonderful photo there! It has a Norman Rockwell feel to it...at least to me it does. Very nice. Perfectly expressed in words and image!! Is that a painting or a photo? Did you take it? It reminds me of the fifties, maybe Norman Rockwell, I love the colors and the feel of it. And I totally agree with the poem! Did you write the poem?? It is amazing!!! Lovely words and image to fit the calendar and feelings we are feeling. 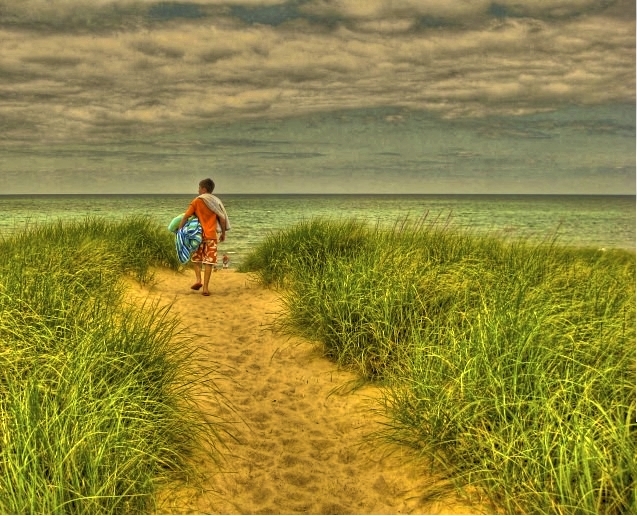 Beautiful- and so west Michigan too! Gorgeous processing on that shot Reena! Great post!! A touching poem and a nostalgic photograph to go along with it!! It's how I always feel at this time of the season. Only I whine and mope about it and you say it beautifully.. with words and photographically. This looks like a painting, Reena! It is breathtaking and, of course, the perfect words! Always a delight to visit your blog! Hope you have a lovely weekend! Fabulous image Reena! Seems not many North Americans look forward to winter. Time is fleeting and so the life. Fabulous poem! I'm going to share it with my sister, who writes poetry fairly often, too. 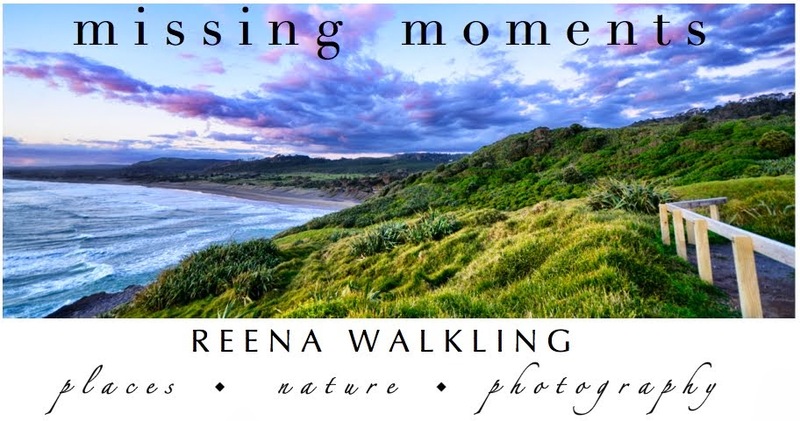 Beautiful photo and words, Reena! What an amazing photo and amazing processing! I'm hanging onto August too . . .
My thoughts exactly! Lovely poem to go with that fabulous shot! The end of summer always leaves me sad. Your picture really puts that into perspective. And I am soooo ready to kiss this August goodbye. Too hot, too dry, too long! Beautiful photo though! Beautiful photo and a lovely poem. I am not really ready to let go of summer yet. I hope you enjoy your weekend. Exactily, why must summer end? Yes summer is coming to an end. The mornings are darker when we get up, the hummers are ravenous (I have two feeders out now) as they prepare for the trek south. Love your image today. It does remind me that summers' days are running out. boo hoo! Gorgeous photo! Did you use your new app??? It seems like last week I was waiting for summer. Where did it go? oh that photo is so serene. very nice. Your poem expresses exactly how I feel! That photo has a dreamy quality I really like. Goodbye to summer, I guess. You've taken the words right out of my mouth. That was beautiful. There is a passing sadness as each season moves into the next. Then, we turn and face forward, to find the glories of the season that we are about to embrace. This just sort of makes me want to slow..........down. Your images just enthrall me! And these words are precious. Your photo is truly gorgeous! Yes it's going, going, going gone. You took the words right out of my mouth. But you wrote them so beautifully, I don't think I could have captured that feeling as well! Summer is not over yet here, it has come back as a matter of fact after rainy days. A beautiful image ~ autumn is rapidly approaching here in the UK !! Delightful Reena - makes me want to take off my shoes and feel the sand squishing between my toes! Love how you worked with that photo to perfection. That poem? Too true. So beautiful - all of it. I - too - don't want summer to end...:-(! beautiful capture of summer's end! So this is what everyone is talking about. This is really stunning. I love your processing here, Reena. wow what an amazing shot, love the processing on this and I love the poem, my sentiments totally! Beautiful words and a wonderful picture. Bravo! A nice week to you. ok .. truly incredible .. what's the app called again? Delightful pic. I agree wholeheartedly. Fall will soon be upon us. Then Old Man Winter - ah, am I sounding a bit downcast? Not at all. All seasons have to be admired. Cheers renna!! Glad I did though - beautiful! Wow! What a gorgeous photo! Renna, this is amazing – incredible image and sentiments. I feel exactly the same way. My sentiments exactly. Only you said much more eloquently than ever I could. Somehow I missed this one-BEAUTIFUL!! And yes...alas it does seem like a lamentful thing to say good-bye to the summer. Do you sell your photos? At least two people I know want a print of this pic. Could you email me? P.S. A bunch of us are from Cape Cod and have scattered around the U.S. This pic is so reminiscent of those days that we spent there.